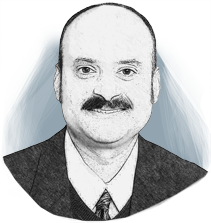 Dr. Iyer is a seasoned pharmaceutical executive with proven strengths in corporate strategy, global business development, capital raising, venture start-up and growth. In addition to his responsibilities at Porton, he serves on the Boards of early-stage companies in the biotech and specialty consumer segments. Dr. Iyer earned his Ph.D. in Analytical Biochemistry at George Washington University and completed a Post-Doctoral Fellowship at Yale University School of Medicine.